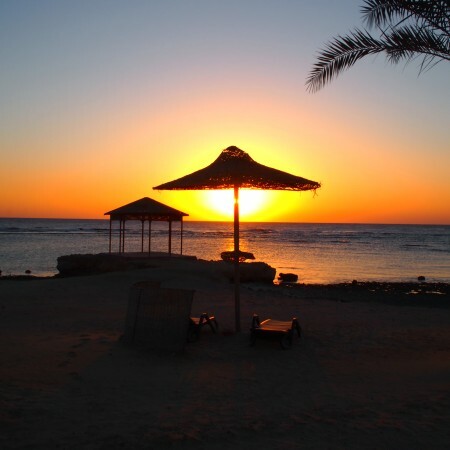 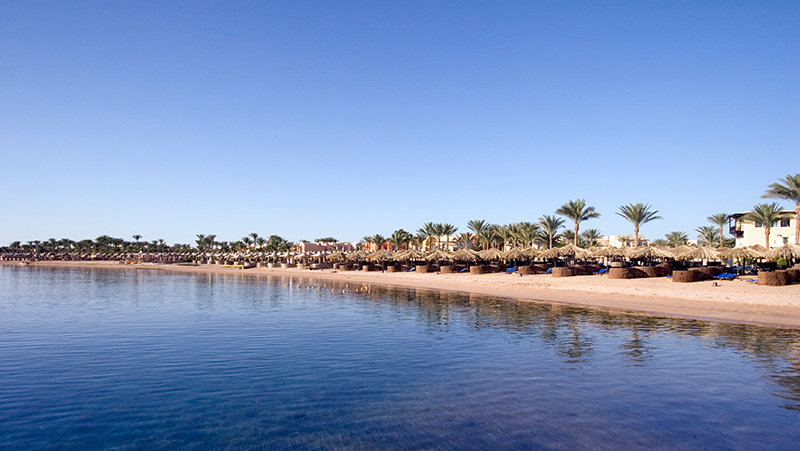 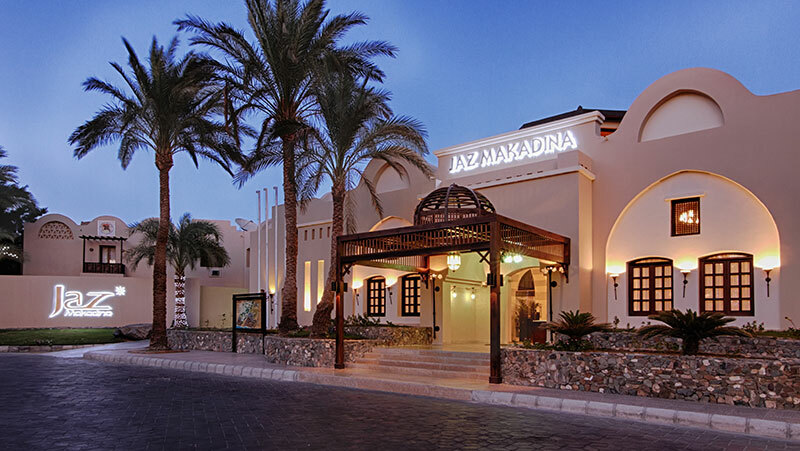 Jaz Makadina is situated on a secluded stretch of a spectacular beach. 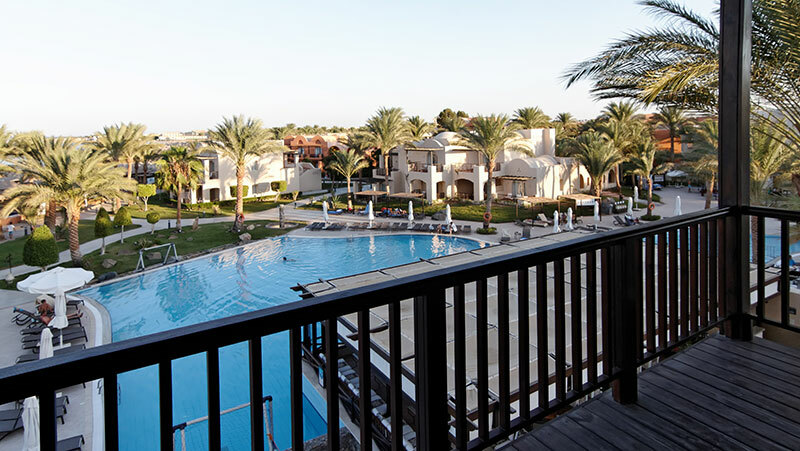 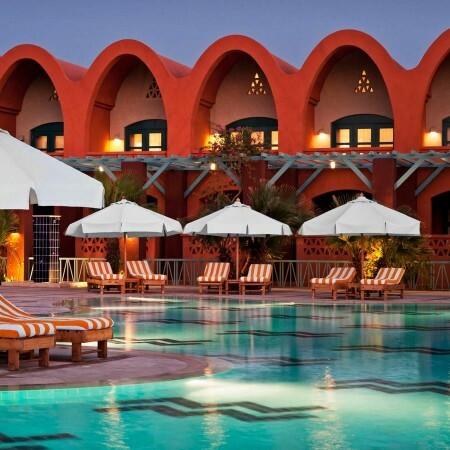 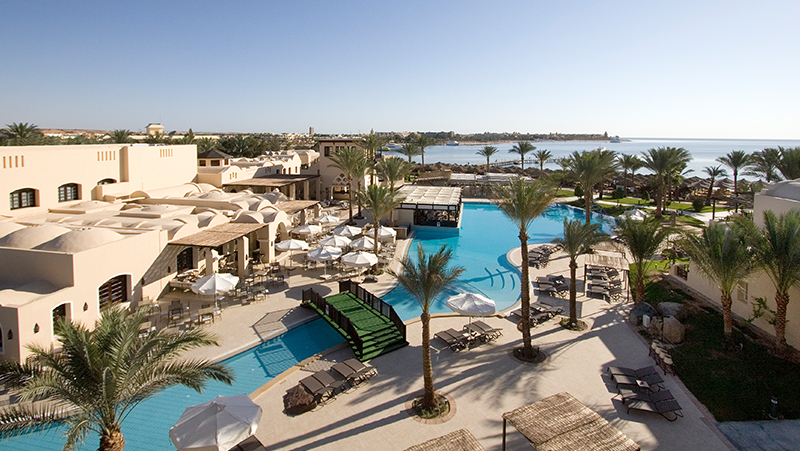 Cool yellow colors dominate the exterior of this Nubian-Moroccan influenced resort that won TripAdvisor’s “Egypt Top 25 Hotels for Service – 2012”, “HolidayCheck Top Hotel -2011”, the “ISO 14001” in 2010 &the Holiday Check Award in 2008 just to name a few. 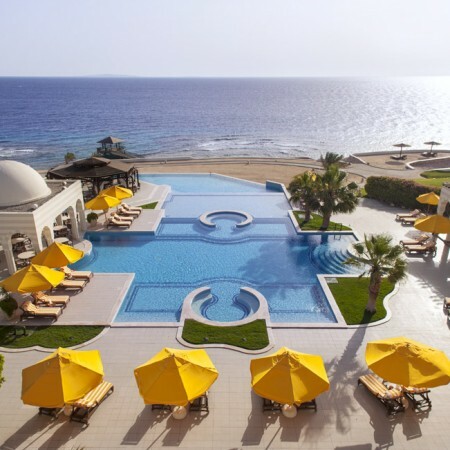 Inside, simple yet elegant furnishings and well-appointed rooms offer stunning views of the coastline, the extensive pool, or the surrounding landscaped gardens. 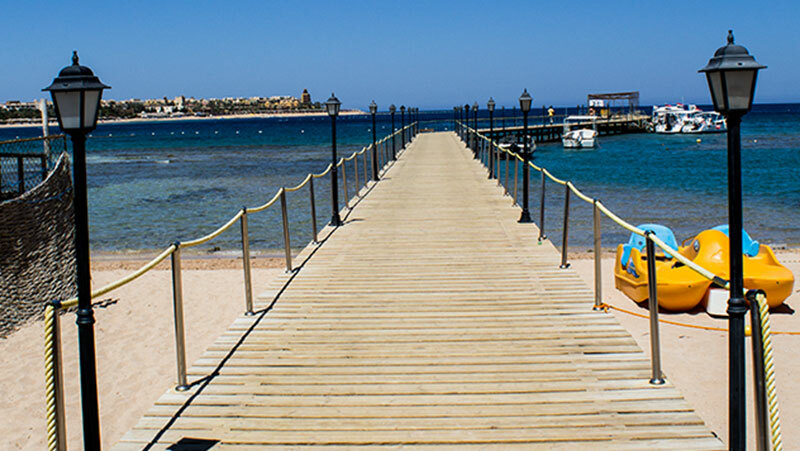 Renowned for its house reef, the calm sheltered waters of Makadi Bay promise unforgettable diving and snorkelling experience even for the novice through Madinat Makadi’s diving center. 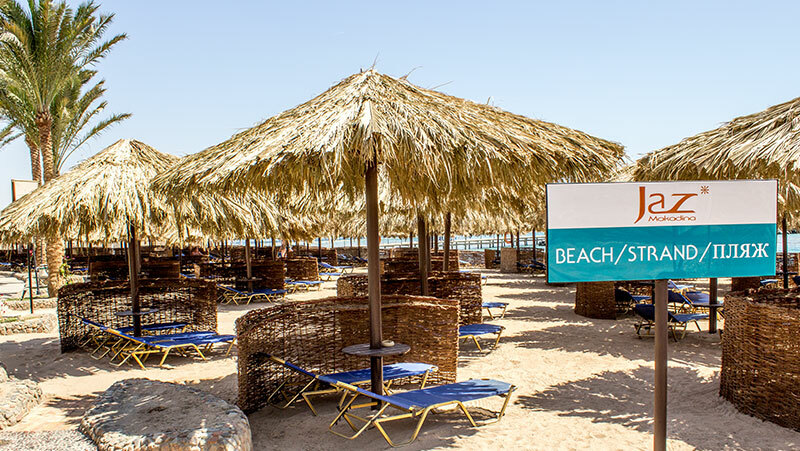 Join in a game of beach volleyball or have a go at something new like surfing, sailing facilitated by Madinat Makadi’s surfing & watersports centers, or even camel-back riding. 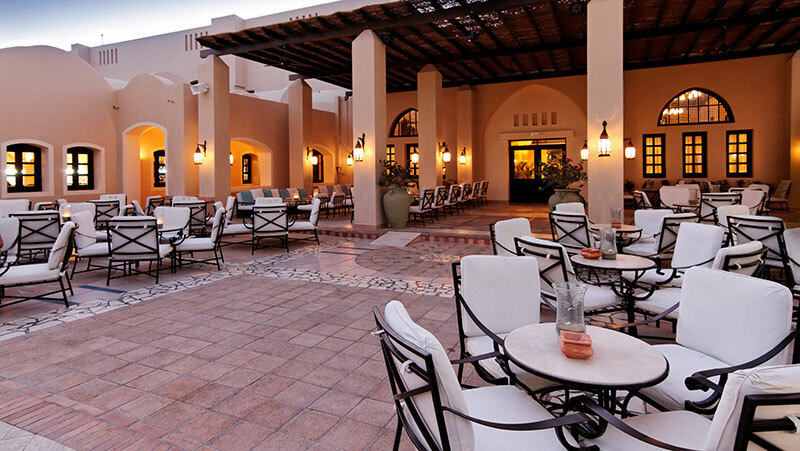 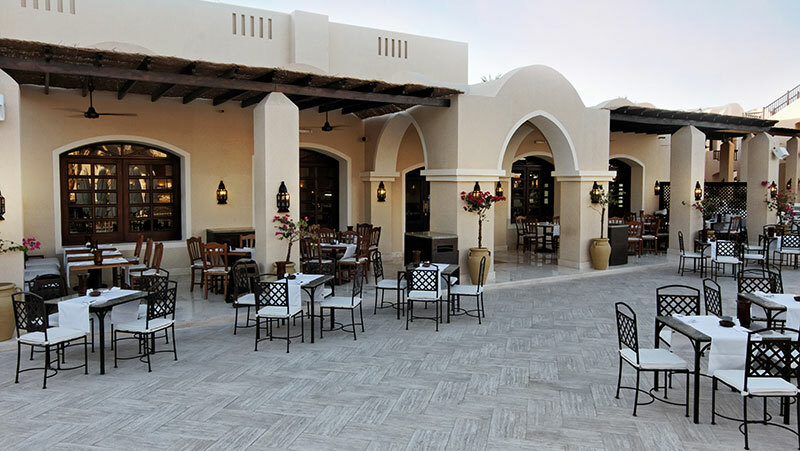 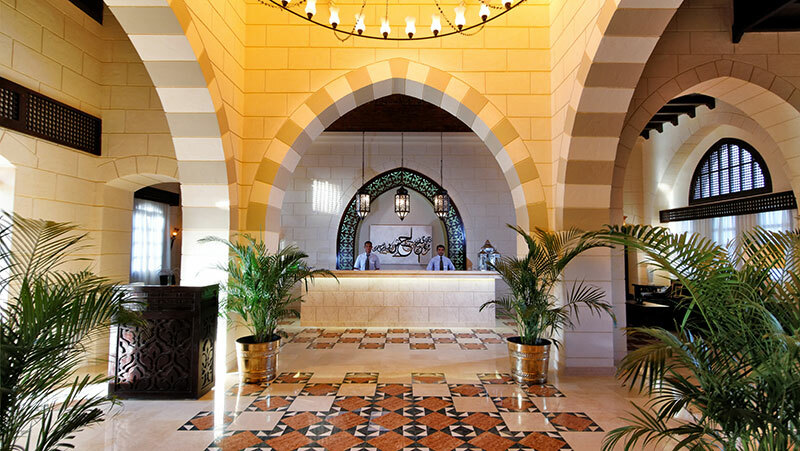 The resort is minutes from Souk Makadi, the vibrant and bustling shopping complex at the heart of Madinat Makadi 145 shops, restaurants, bars and busy nightlife. 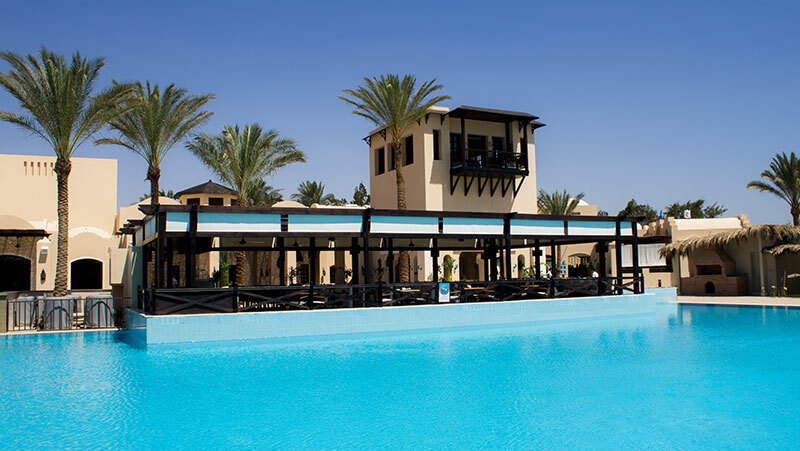 If simple relaxation is all you aspire; you will find a perfect spot on the fine white sands to soak up the sun or relax by one of our two pools with a cooling drink, safe in the knowledge that your children are having endless fun with the resort’s multilingual Kids’ Club staff. 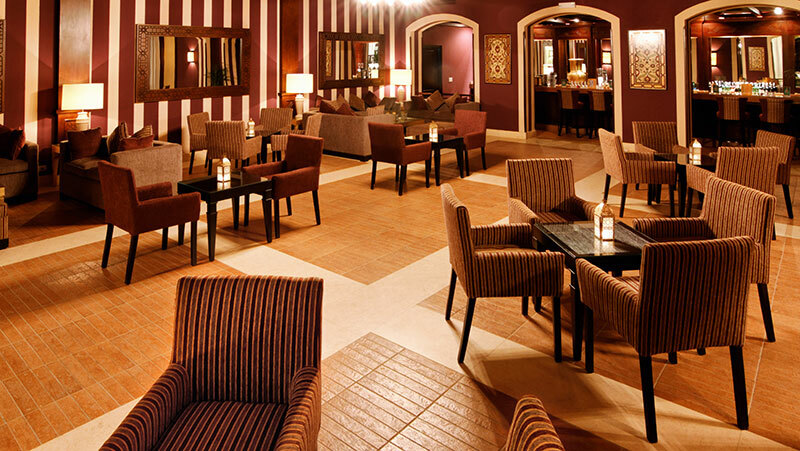 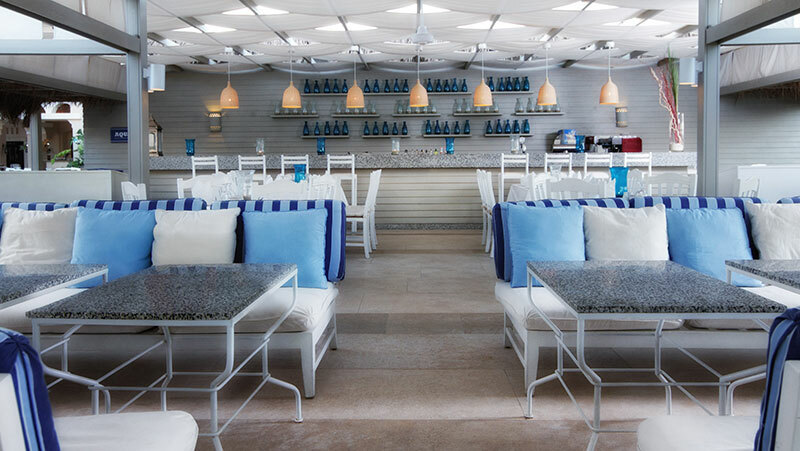 In the evening, join in the lively atmosphere of the nightly entertainment or unwind in one of the bars with your favorite cocktail. 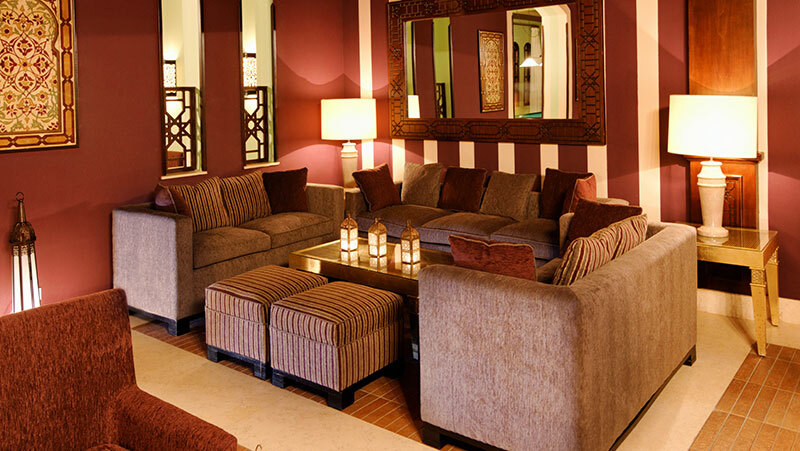 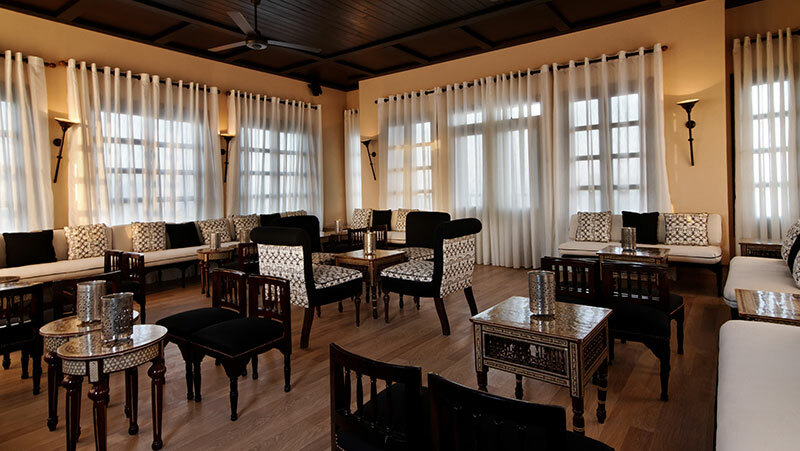 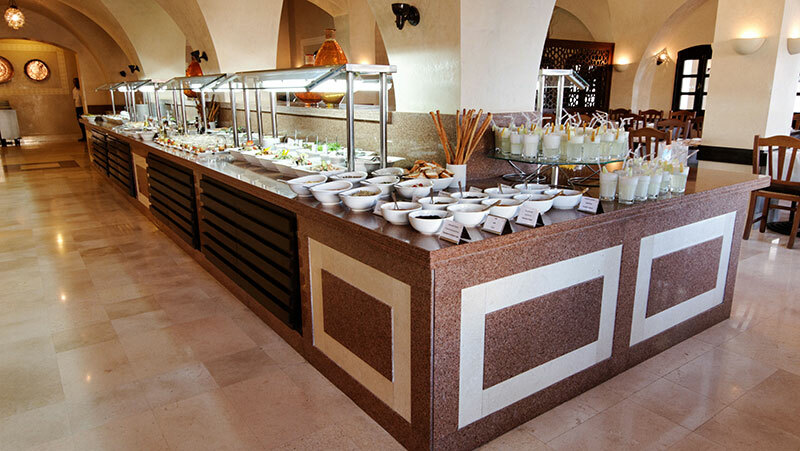 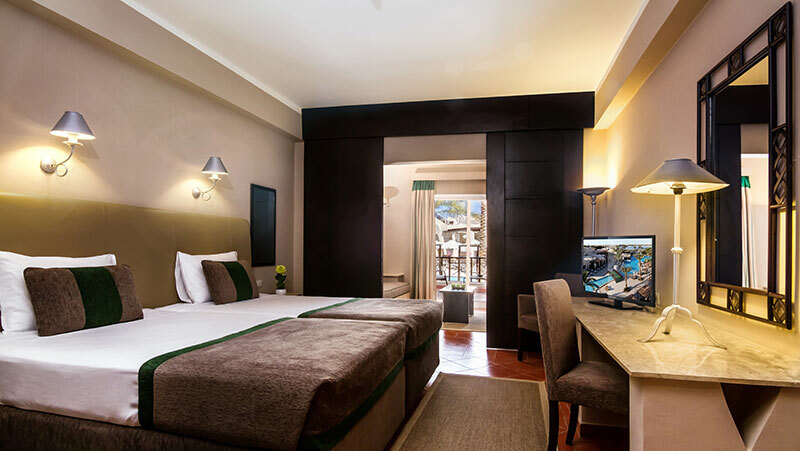 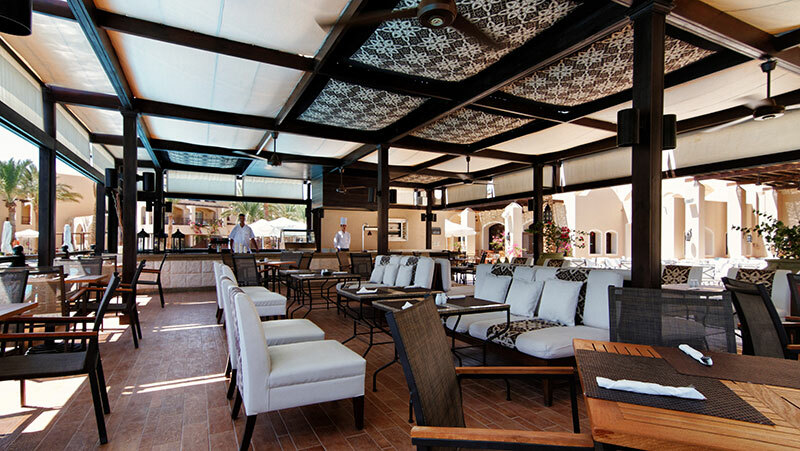 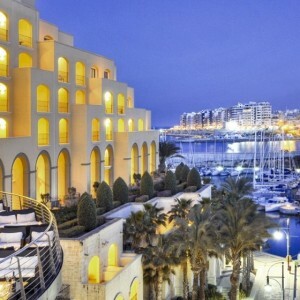 Hotel facilities of this five star resort are comprehensive and convenient including multi restaurants, bars and pubs. 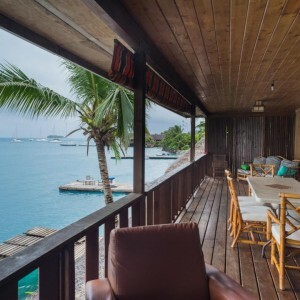 Two swimming pools (one of which is heated during winter season) & a magnificent private beach with a spectacular house reef that will charm divers & snorkelers all the same. 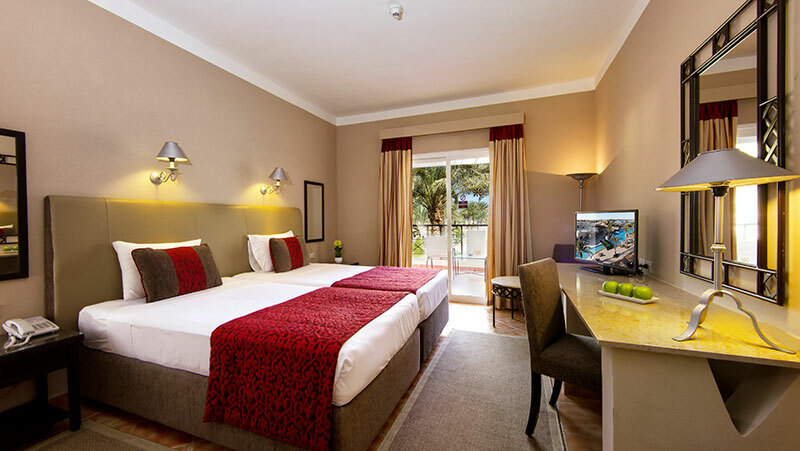 Laundry service and gift shop, 24 hour concierge and room service as well as access to an on-call doctor 24 hours a day. 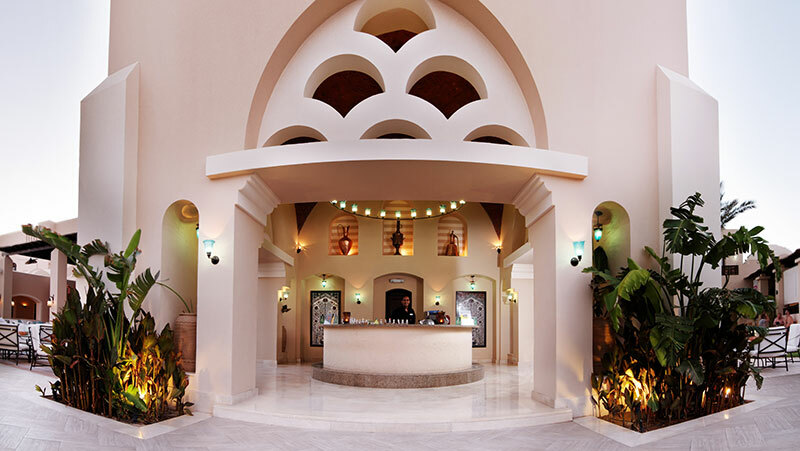 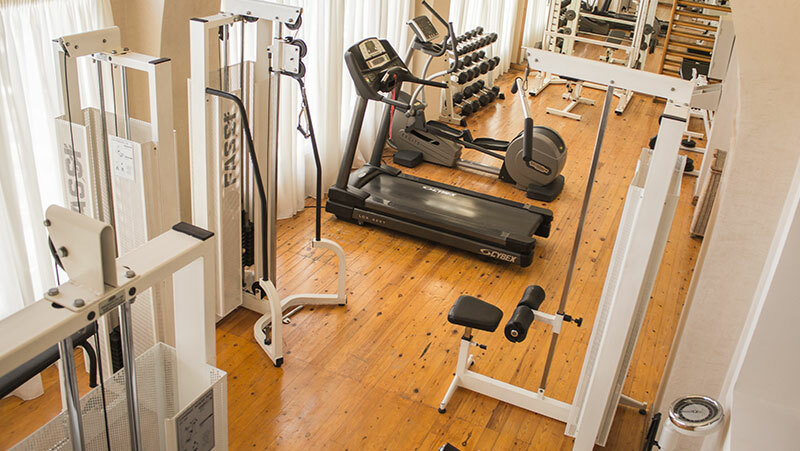 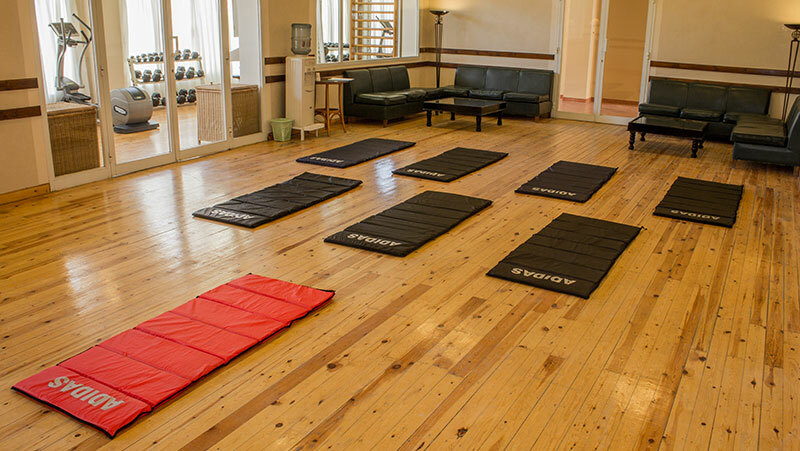 Visit the on-site fitness center, rejuvenate at one of the 29 treatment rooms of Madinat Makadi’s spa or opt-in for thesauna and Jacuzzi for some well-deserved pampering. 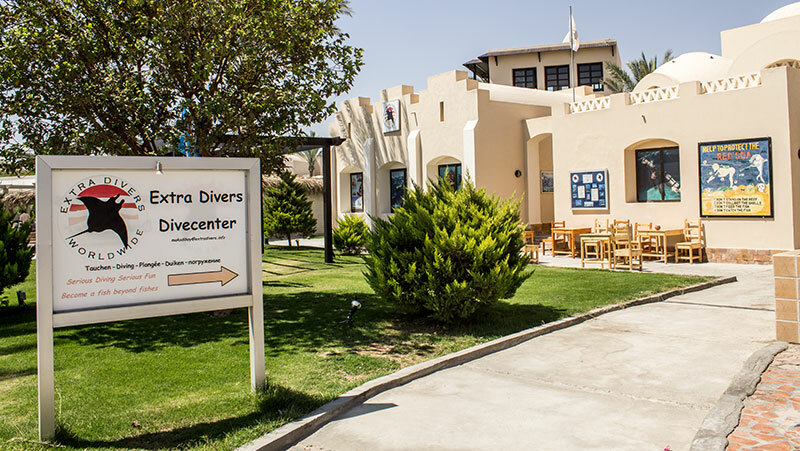 Visit the nearby diving center to explore the world of SCUBA diving. 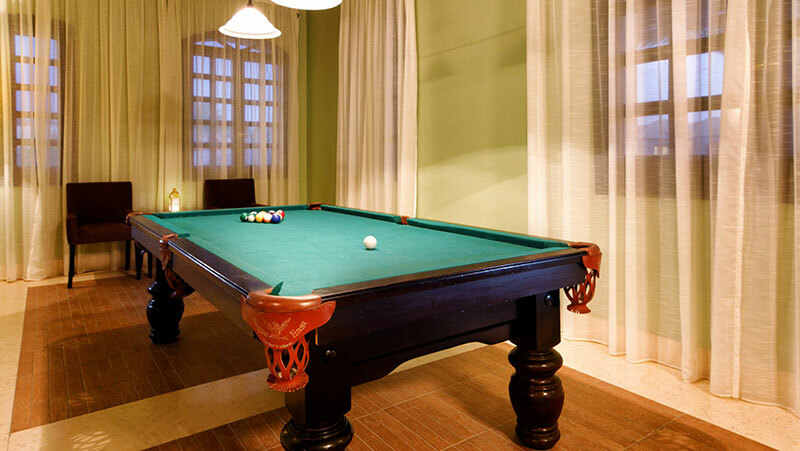 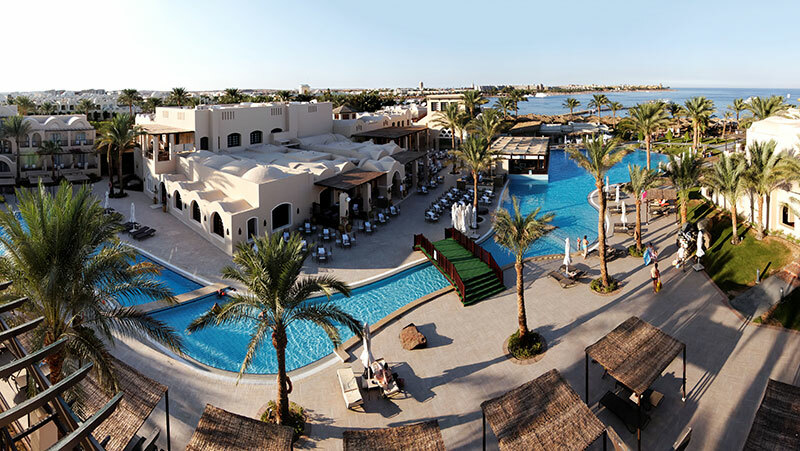 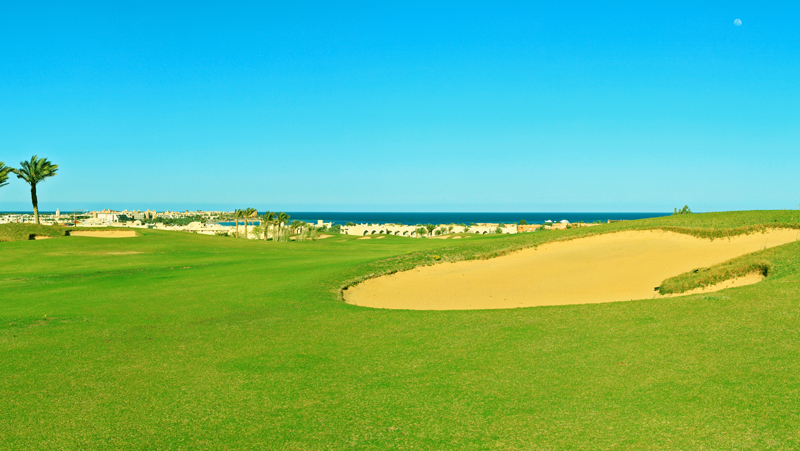 There is an impressive variety of beach games, indoors & outdoors recreation facilities such as table soccer, table tennis, darts & billiards.While the resident animation team will organize daily programs for your enjoyment as well as live stage shows presented regularly in the evening. 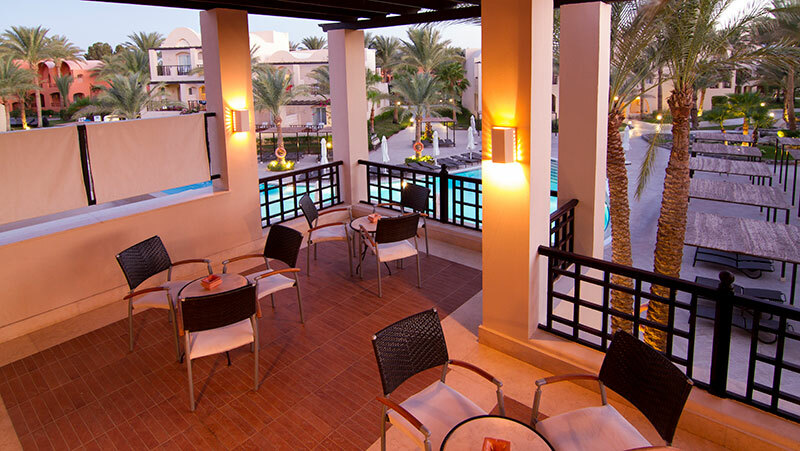 Stay connected via our free Wi-Fi service in all hotel areas for up to 150 MB. 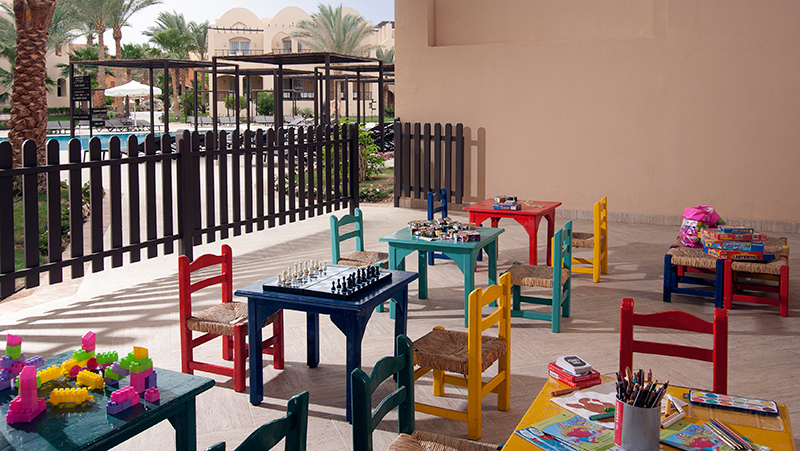 The Kids Club opens daily to provide supervised childcare and give you a break! 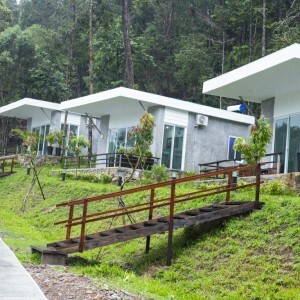 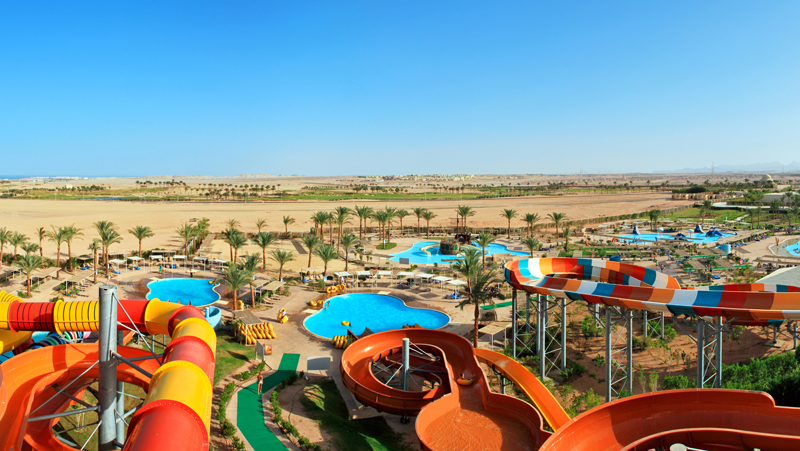 Special programs, designed for children between the ages of 4 and 12, will occupy them all day using their own playground, a games room with DVD players and a separate freshwater swimming pool. 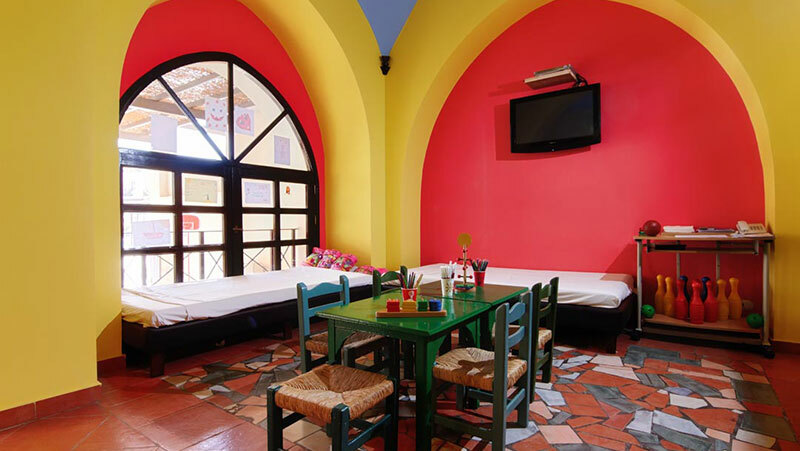 The main restaurant offers special menus for children.